The thing that sets these glasses apart is the UV rating. Most glasses protect against UVA, UVB and visible light damage. 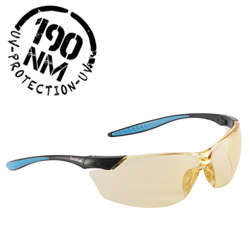 These glasses protect from about half of the UVC damage also down to 190nm. The lens form the upper part of the frame with this model allowing more light and a better field of view than many others. The thickness of the lens is also increased at the top providing additional impact protection from above. 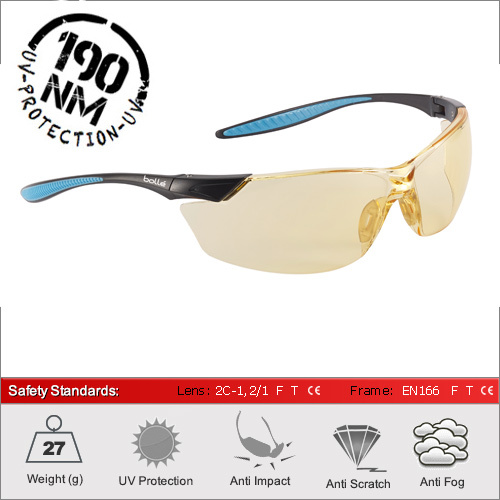 They are T rated to provide extreme temperature impact protection and include lenses with anti-fog and anti-scratch coatings. The arms are very adjustable with co-injected inserts for better grip. 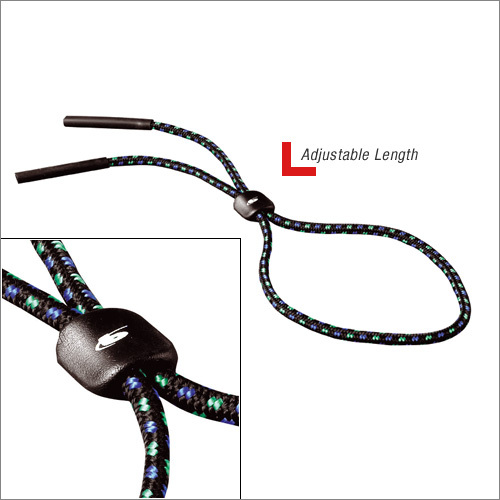 Each pair is supplied with an adjustable cord to ensure they remain securely fitted when working at angles or during rapid movement. We have three lenses available in this frame. The clear lens for 100% optical quality 1 performance and maximum clarity. The Yellow lens for increased contrast in low light conditions and finally the Smoke lens for full solar protection in direct sunlight and other bright conditions.